Highly illuminating as always. I have always thought that the Cross in the sky could be what some Blessed and Mystics (Blessed Anna Maria Taigi, St. Edmund Campion) refer to as the “Illumination of Consciences”. If Garabandal proves worthy, the seers might have been given a vision of this future Cross in the sky and refer to it as the so-called “Warning”. Undoubtely, if the world were to be granted this grace, we would all fall on our knees convicted by the Wounds of Savior (see our sins). Of course, I will wait for the judgment of Holy Mother Church in this and all matters. The impression I get from the Akita apparition is that the chastisement will happen first and then the sign will appear in the sky. "Fire will fall from the sky and will wipe out a great part of humanity, the good as well as the bad, sparing neither priests nor faithful. The survivors will find themselves so desolate that they will envy the dead. The only arms which will remain for you will be the Rosary and the Sign left by my Son." Do you think Sr Sasagawa got matters mixed up on this point? Apologies if I have misuderstood things but I thought there is the great apostasy, then the second pentecost and finally the consumation of the world in fire (fire falling from the sky). I am in the middle of composing a post about my thoughts on the "Illumination of Consciences". 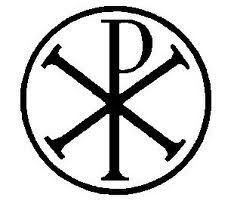 It does seem to be linked to the "Great Sign", as you say, and also to the Second Pentecost. I am inclined to think that the Illumination of Consciences is symbolic of the interior reflection of everyone on earth after the appearance of the Great Sign, rather than the gift of the supernatural knowledge of the state of each person's soul. I think the Great Sign will cause everyone to pause and reflect upon themselves interiorly, and many souls will be won to Christ. I've already read that article - it's quite good and gives a well-balanced presentation. "The only arms which will remain for you [when these chastisements begin] will be the Rosary and the Sign left by my Son." The section on the "cardinal against cardinal" should also be placed before the Great Chastisment - possibly taking place either just before, or during the reign of the Antichrist (or possibly both). Prophecies are often chronologically disjointed (particularly so throughout the Apocalypse), and quite often can only be understood when broken down into seperate oracles and then arranged in accordance with the chronological sequence already established in other prophecies. The proper sequence of events seems to be the Great Apostasy, then the Great Sign/martyrdom of a pope, which is followed by the Second Pentecost. After which is the minor chastisement/mega-tsunami, followed by the reign of the Antichrist, which ultimately leads to the Battle of Armageddon/Great Chastisement/End of the world. Only then can the General Resurrection and Last Judgement and the creation of the New heaven and earth take place. Thanks Emmett! So this is why you don't see the three days of darkness prophecies as being literal as it implies there will be survivors and the world still in existence. Since the antichrist is surely around the corner then so is the end of this world/earth. It just strikes me as slightly odd that after the earth has been around for billions of years and humans 200,000 years(if scientists are correct) then it would be destroyed only 2000 years after Christ showed us the way, the truth and the life. I could only perhaps counter that Christ came to prepare us for all this and to usher in the new heaven and earth. I am sure you have probably touched upon this elsewhere. "But the serpent said to the woman, “You will not surely die. For God knows that when you eat of it your eyes will be opened, and you will be like God, knowing good and evil." Only now we are reaching the point of technological sophistication that is beginning to threaten the Tree of Life. Many scientists believe we are now within reach of the point of "tranhumanism" - when we become like "gods" and "will not surely die", because our conscienceness will be able to be fully mapped and "downloaded" into computer data, before being "uploaded" again into a new body - much like the ideal forwarded in James Cameron's film Avatar. Or that our own physical bodies will be able to be sustained indefinitely through nanotechnology. Possibilities such as this have to be the greatest abominations of all - when humankind threatens to reach the point of Satan's promise, for humanity to become "like" gods. God is simply not going to allow for this to happen, and will consequently bring history to a close before we reach the "Tree of Life" - when He will send forth his Angel with the Flaming Sword. "In four years there will arise a new evil the likes of which mankind has never before encountered. It will arrive almost imperceptibly, with few people noticing the depth of its evil, for it will appear to have beneficial and convenient aspects. It is an evil comparable to abortion -- that is to say, that even if evils as great and widespread as abortion were to be eliminated, this is enough of an evil that it would present mankind with an enormous challenge. This evil is being allowed as a test because of the prayers inspired by Mary to put off chastisements. How mankind responds to this new evil will determine the extent, length, and severity of the first chastisements. These chastisements will differ according to regions, and like the great evil, will not always or usually be immediately noticeable for what they are. In the period also will be a warning that involves not fire from the sky but fear of fire from the sky, and strange loud rumblings. This, according to mankind's response, will then be followed by another chastisement, or the inevitable onset of the change of era. Your era is ending. Soon the world will not be the world you know. I am not speaking of a barren world, or one depopulated, but of the end of your technological era. Many inventions of mankind will be broken down and there will be more of a peasant attitude and way of life everywhere. After this breakdown of false society will come persecution of Christians and also a new world order. The anti-christ will be on earth trying to affect the new world order. Hardly anyone will notice the extent of his influence until afterwards. He will not be of tremendous visibility until he is accomplished. That is to say, he will not rule, control, and be at all obvious to the world at the peak of his influence. He will not be unlike a figure such as Marx, except his ideas will be more immediate. "I will come not as a man of flesh, but like My mother, who already nurses Me and holds Me in her arms, as a light and power. I will manifest Myself in a series of supernatural events similar to the apparitions but much more powerful. In other words, My second coming will be different than My first, and like My first, it will be spectacular to many but also unknown initially to many, or disbelieved. Yet truly I tell you, the arrogance of the world will have been broken, and so many more than normal will believe. "I will come in towering light. "My mother held me in her arms at Medjugorje, as an infant. "I will come as she has come, in light. "Know this about the world: I would not appear on television, nor ride a car, nor travel in an airplane. "Would I come in such a manner? "Would I live in such a world? "You think of the changes in very simple ways, without realizing the fundamental mistakes of mankind. "The very artifice of your societies is false and against the accordance of God's Will. "This artifice shall not last. "Your very conceptions of happiness and comforts are a great evil and falsity. "My greatest nemesis is science, even more so than the media. The science that alters life, the science which creates a counterfeit heaven, the science that toils with the womb and genes, the science that has filled the air with the power of the enemy, the science which creates chemical witchcraft and fouls the earth, the science which seeks to create life but cannot in actuality even sustain it, the science which has denied God. "This will fall, and all of its creations with it. "The seat of Satan in America is north of San Francisco. "New York City is under an evil cloud and will be for 12 years. Do not go there. The pride there will be broken. "As for the anti-christ, remember Europe, and especially Central Europe. "Yet know too that God's Hand will be evident in South America. "The world will not end but change." I'd love to know the source of that anonymous "1990" prophecy. Michael Brown seems to be convinced that it is from a genuine seer. It is also very close to the theories I present in Unveiling the Apocalypse. I didn't come across it until after the book was already written, and was impressed with the parallels with my work. the British Empire, since they have a presence in/on all seven continents. What say you? I pray for you, your family, and your ministry. Thanks! I hadn't read that post until you mentioned it. It is very much in line with the chapter on The Whore of Babylon in my book. I argue that Babylon represents the ruling world power in the eschatological age, just as Ancient Babylon and Rome were the ruling world powers in their own times. So if we transpose this situation to the present, the USA is the sole contender for this title, given its current global hedgemony. “So will Babylon the great city be thrown down with violence, and will be found no more"
I argue that this verse directly parallels the "great mountain, burning with fire" being thrown into the sea in Rev 8:8, which I propose is a reference to the threat of a future mega-tsunami posed by the collapse of the volcano Cumbre Vieja in the Canary Islands, which would completely decimate the cities of the east coast of the Americas, including New York. And the angel said to me, “The waters that you saw, where the prostitute is seated, are peoples and multitudes and nations and languages. And the ten horns that you saw, they and the beast will hate the prostitute. They will make her desolate and naked, and devour her flesh and burn her up with fire, for God has put it into their hearts to carry out his purpose by being of one mind and handing over their royal power to the beast, until the words of God are fulfilled. Traditionally, Europe has always been considered as the remnant of the Roman Empire. After the fall of Rome, a loose confederation of kingdoms and feudal states was still mantained in the West (which would eventually be more closely united under the Frankish ruler Charlemagne and the formation of the Holy Roman Empire), while the actual remains of the Roman Empire contained to exist in the Byzantine Empire in Constantinople, until the invasion of the Ottoman Turks in the 15th century. 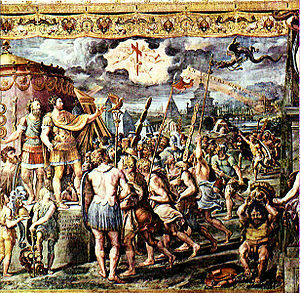 This is why many commentators believe that the prophecy of the revived Roman Empire implied by the beast with seven heads, who "was, and is not, and is about to rise from the bottomless pit and go to destruction" (Rev 17:8), refers to a United Europe ruled under a single leader, founded on the exact physical location of the ancient Roman Empire. In this scenario, the Antichrist will literally be a new "Nero" or "Caesar", who will bring about the final persecution of Christians before the end of the world. God Bless you Rita B! Touching upon my earlier comment and your response - is it at all possible that most of humanity and the world will be destroyed with only a few left alive and that this would usher in the new heaven and the new earth - that is the earth we are on now would be transformed by God's power and also given Satan will be banished once and for all? I understand if these are the end-times then there will be the final judgement so it could be argued that everyone must die for this to happen. However could those still alive be taken up into the final judgement (this would differ from the "rapture")? There appears to be different levels of certitude in regard to prophecies (eg, certainty, likely, uncertain). In short is it a dogmatic type certainty that in fact every inhabitant and the earth itself will perish before the final judgement or just very likely? As you mention in your book we dont really have any information regarding what the new earth will look like. The new heaven I assume is heaven but the saints would have their resurrected physical bodies. I ask these questions as there appear numerous reasonable prophecies that do point to life still existing even after the fire falls from heaven - eg they indicate that a greater part of humanity will perish as opposed to all. Judging from several biblical passages (such as 2Pet), the end seems very final. "The Lord is not slow to fulfill his promise as some count slowness, but is patient toward you, not wishing that any should perish, but that all should reach repentance. But the day of the Lord will come like a thief, and then the heavens will pass away with a roar, and the heavenly bodies will be burned up and dissolved, and the earth and the works that are done on it will be exposed. "Since all these things are thus to be dissolved, what sort of people ought you to be in lives of holiness and godliness, waiting for and hastening the coming of the day of God, because of which the heavens will be set on fire and dissolved, and the heavenly bodies will melt as they burn! hi emmett , i have often wondered why there is two creation stories in genisis .i have been following the messages of john leary . com. and they strongly suggest that there will be a day of the lord which will include the enlightenment . also , as the christians were led to safety at pella , so will the faithfull be led to areas of refuge in the wilderness after the enlightenment - which , for 6 weeks after we are supposed to try leading people back to god - then on to the refuges , at which we will be prayer warriors for the salvation of the souls of those who fight the chip and the armies of the antichrist . after the allotted time then the same comet that was instumental in the enlightenment and which in turn burnt half of russia , causing their conversion as the pope prays for their conversion as fatima wanted just befor he dies -in germany- will return and strike the earth in the mid atlantic and this will dislodge all that methane stored in the oceans and the followers of the antichrist will walk thru hell for three days -in darkness,with out seeing their hands in front of their eyes - and then all will be cast into hell . to be followed by the -rapture,of sorts- were god will remove all the faithfull left, off of the planet and we will be able to watch the renewal of the face of the earth in 6 days . we will then be returned to our areas and will join the hebrews in cleansing the earth and making it holy to the lord . we will then have 1000 yrs of peace and then the devil gets out again and 7 years later the end of the world and the final judgement . these messages seem to follow a lot of catholic prophesies . i believe this to be true . Some theologians (source critics) propose that the two different accounts in Genesis are the result of two conflated narratives (one called the Yahwist, the other the Elohist) compiled by a redactor circa the 8th century BC. This concept, which supposedly shows different traditions in the Northern Kingdom of Israel and the Southern Kingdom of Judah, is known as the documentary hypothesis. I would be wary of John Leary - some of his "private revelations" don't accord with Catholic theology. I have seen what I believe to be the same vision as Sr. Faustina regarding entry 83 in the Diary of Divine Mercy. I saw a sky filled with darkness I would describe as black ink or tar. I then saw a cross in the sky and where Jesus was nailed, light, like laser light, coming forth from the three holes, cutting through the darkness. The vision only lasted about a minute. I recorded it in my journal. At first I took it to mean that Jesus is the light of the world. He has overcome the darkness. God is light. In Him there is no darkness. Afterwards, I read her entry, not knowing who she was or what was contained in her Diary. After this vision, I had an experience of what I would call God's wrath on the wicked. I experienced bitter cold. I was shivering. I cried out in sorrow for the wicked. I do not know order of events nor if or how they are related. I have a sense of urgency in my soul, however. I have a sorrow for our nation and the unborn. I feel called to fast and implore others to join in prayer. Thanks for sharing that anon... I'm curious - did you see this vision in a dream, or while you were awake? I saw the vision while awake but eyes closed and in a meditative, reflective, state in bed. I would also like to share that other images i have had over a 1-2 year period include a mushroom cloud, not sure if volcano or nuclear, a miter, not sure if bishop or papal, a strong vision of the star of David and a menorah, black clouds in a desert with lightning striking the ground in many places, thunderous and intense. "I pronouce a great day...wherein the terrible Judge should reveal all men's consciences and try every man of each kind of religion. This is the day of change, this is the day which I threatened." "Suddenly, I saw the complete condition of my soul as God sees it. I could clearly see all that is displeasing to God. I did not know that even the smallest transgressions will have to be accounted for." numerous souls who, by the Heart and the current of light, entered into the Side of Jesus. I was told that this was the Heart of Mary. Beside these rays, I saw from all the Wounds about thirty ladders let down to earth." "I play with the plans of men. My right hand prepares miracles and My Name shall be glorified in all the world. I shall be pleased to break the pride of the wicked much more when the world will be most hostile to all that is supernatural. And much more admirable and extraordinary will be the event that will come out of our encounter. In place of the throne of the Beast two glorious thrones will arise, one of My Sacred Heart and the other of the Immaculate Heart of Mary. Then it will be understood that neither human power nor demons nor the genius of industry will end the conflict, but that will end only when reparation has been consummated. Be courageous! The Kingdom of God is near. It will begin with something that will come so suddenly as to be entirely unexpected." Saint Faustina also writes about a "sign of the cross" that "will be seen in the sky" and "which light up the earth for a period of time." I think we have to "test" and "hold" for ourselves, since formal approval of some real apparitions may never come, especially those that prophesy events. I'd love to know the source of that anonymous "1990" prophecy. Michael Brown seems to be convinced that it is from a genuine seer. A friend of mine whom I met on the 2001 pilgrimage to Medjugorje with Michael Brown asked Michael if he was the "seer" of this 1990 prophecy and he admitted at least to her that he was. I think that is why he is so knowledgeable of the details and has mentioned it so often since it was something so very personal. As for the two apparitions at Garabandal and Mejorgie (spell? ), for me are not worthy of believe because, these two apparitions have some contradictions of the Faith; specially at Medjorgie.